We're not your typical mow and blow landscaping company. We actually care about the craft. We care about what we do and how we do it. That's because we tend to the grass you walk on, the flowers you smell, the trees you sit under—and when we care for those living things, they in turn, keep us alive. As a company, we ensure that Hapa Landscaping’s promise of unparalleled craftsmanship and service are ingrained in our company’s work culture on a day to day basis. "The absolute beauty of the plants here in Hawaii keep my passion for this work alive," says Kyle. "Helping to create and keep healthy the small slice of paraside we create for our clients is a true pleasure." Sprinkler Pro is a locally owned company serving Oahu, Hawaii home owners and property managers with quick and expert sprinkler repair. Hawaii is known for its beautiful tropical garden and landscapes and lush green grass. Keep your lawn looking magnificent no matter the season with the help of Arrowhead Sprinklers Hawaii on the island of Oahu, HI. We specialize in sprinkler repairs, troubleshooting and leak detection to ensure your sprinkler systems are always running smoothly. In addition to being able to repair virtually all sprinkler systems, Arrowhead Sprinklers Hawaii offers monthly servicing to ensure that your sprinkler systems are always working at full efficiency and to address problems before they occur. Our expert team is also able to design new systems or upgrade existing systems using Eco-Friendly Water efficient sprinkler heads to save up to 30% on your water bill and usage. 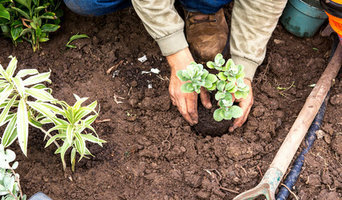 Call us today to schedule your service and know your lawn & plants are getting the water they need. We are happy to serve the entire island of Oahu! Irrigation and outdoor lighting services serving all of Oahu. What does a lawn and sprinkler contractor in Hawaii, HI do? 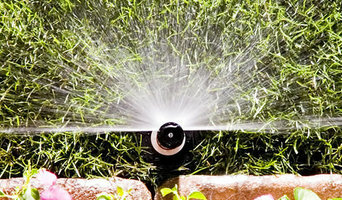 Find a lawn and sprinkler contractor in Hawaii, HI on Houzz. Scroll through this page to find professionals in your area that can supply and install turf and artificial grass; set up sprinkler and irrigation systems; as well as provide general lawn maintenance services. You can browse their portfolios, read reviews and see how other homeowners rate their service, expertise and products.